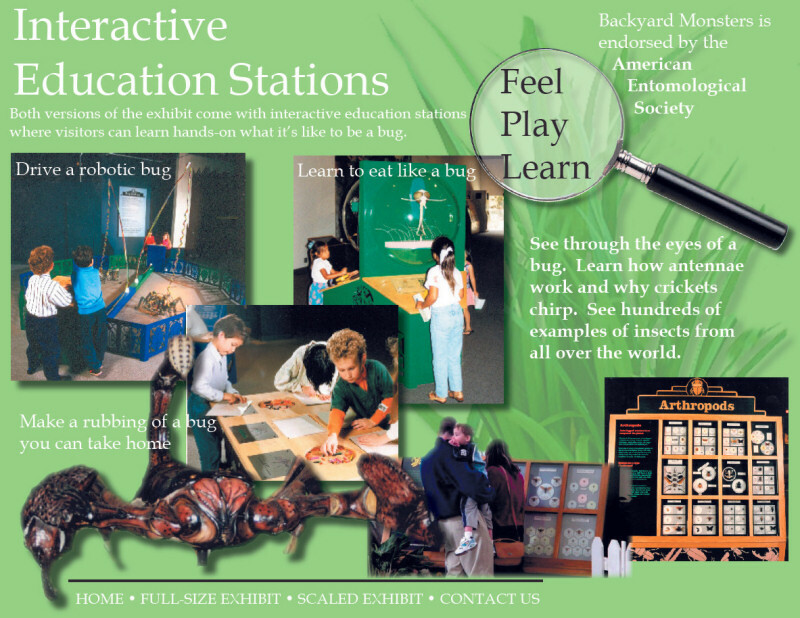 Both versions of the exhibit come with Interactive Education Stations where visitors can learn hands-on what it's like to be a bug. Drive a robotic bug. Learn to eat like a bug. See through the eyes of a bug. Lern how antennae work and why crickets chirp. See hundreds of examples of insects from all over the world. Make a rubbing of a bug you can take home. Backyard Monsters is endorsed by the American Entomological Society.